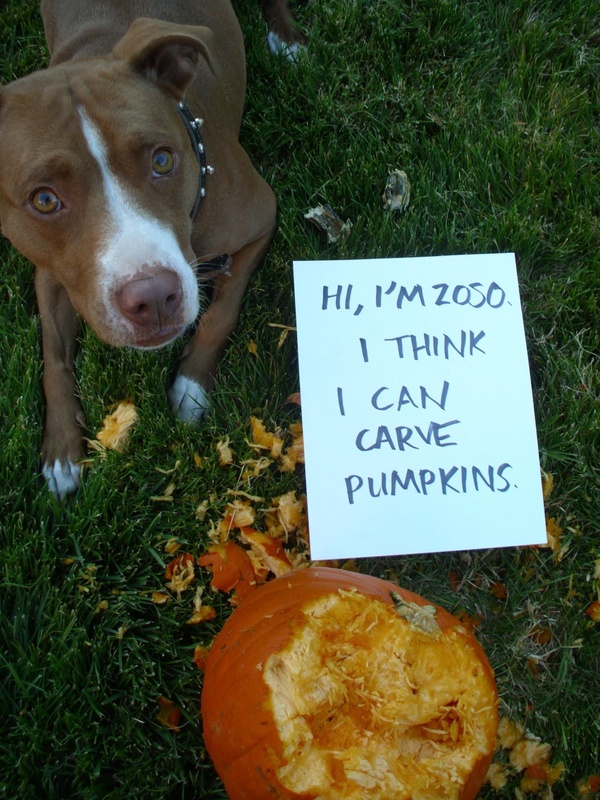 For Halloween, Zoso decided she could carve a pumpkin while we went inside to find the supplies in which to do so. 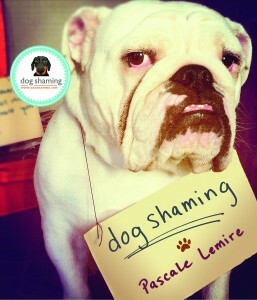 Zoso looks like she is saying “What, what did I do?” Sweet puppy. I was going to say Zombie Pumpkin too! What a sweet girl face! Looks pretty scary to me! At Big Cat Rescue in Tampa, FL, they give all the cats pumpkins in the fall to play with and then eat. Yes I have one eating my house and yard! He is a Staffordshire tarrier, but for trick or treat he pretends to be a pit bull, digs, chews, and eats the shrubbery. I am starting to believe he is serious about this whole pit bull thing. CZ. Ps he ate my cactus. Ate a cactus? That’s some tough dog!